I know I'm a little late on this but when two big favourites of mine come together on a remix it can only result in complementing euphoria. New Jersey's Com Truise takes us on a darker electronic journey in to his world of synth heaven. Offbeat drum fills and slightly more chaotic synths than we're used to hearing from the electronic whizkid but nothing short of amazing. 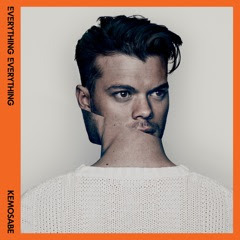 Kemosabe will be released on January 14th, the same day as Everything Everything’s second album ‘Arc’ is released.